Peggy Brayfield's collection of videos of live singing of songs from The Missouri Harmony. The St. Louis Shape Note Singers are a loose affiliation of singers in the old colonial and southern tradition of Sacred Harp singing using shape note notation. 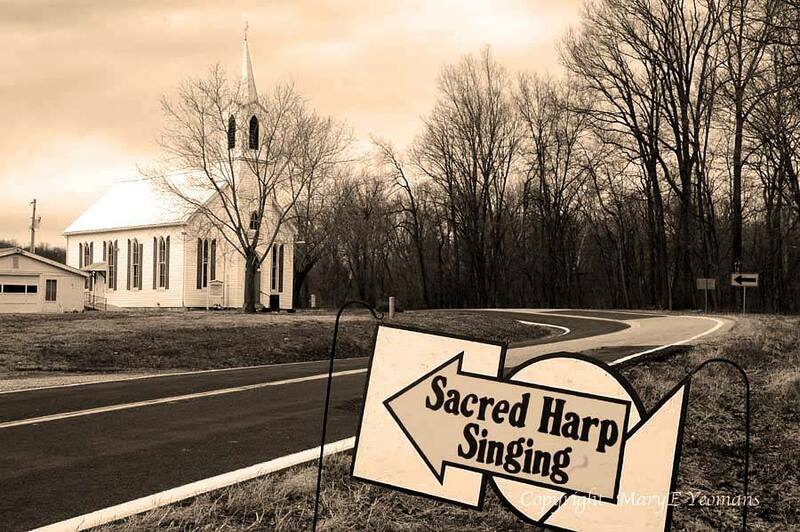 We usually sing from The Sacred Harp, 1991 Denson edition, as well as from The Missouri Harmony, 2005 edition, tunebooks whose origins date from the early 1800s. The St. Louis Shape Note Singers are one of several dozen active shape note singing groups across the country and around the world, some continuously active for over 100 years and some only recently organized. Following this tradition, we do not have auditions, rehearsals or performances as such. We simply gather to sing the music we love. Musical talent or training is not required. We are entirely non-denominational as well, welcoming all regardless of creed or lack thereof. We normally meet to sing on the first, third, and fifth Monday evenings each month, from 7 PM until 9:30 PM, at various locations in the St. Louis area. Please check the current schedule for dates and locations. Call Dave at 314-776-7477 or e-mail Paul at stlfasola@gmail.com for details and for any updates on times and locations. Every year, shape note singing groups host their annual "convention", an all-day or two-day singing at which all singers are welcome. The St. Louis Shape Note Singers host the annual two-day Missouri Convention each year on the 2nd Sunday in March and the Saturday before, at St John's UCC in Pinckney Township MO, (11.5 miles west of Marthasville on Highway 94). The 2019 Missouri Convention was held on Saturday and Sunday, March 9 and 10. A complete schedule of singing conventions (and many other resources) is available at fasola.org. For more general information about shape note and Sacred Harp singing, visit fasola.org. You can listen here, here or here.